If your cooking adventures are, more often than not, turning into mis-adventures, it might be your fault. It just might be time to invest in some quality cookware. A good set of pots and pans — just like high-quality ingredients in a recipe — can really make a difference. For the record, I believe you can’t go wrong with stainless steel. Stainless steel is durable and versatile; it’s non-reactive (meaning you can safely cook any type of food without it being chemically altered) plus it’s dishwasher safe. Of course, all stainless steel is not created equal. The good stuff is made with an inner core of aluminum or copper to ensure proper heat conductivity so that your food cooks evenly and the pan stays hot. Unlike some of those late-night infomercial specials, a quality stainless steel pan will actually come with a warranty and, if treated correctly, will last a lifetime. Take those basics and add to it elegant innovation and Italian craftsmanship and you’ve got the newest addition to my kitchen — Lagostina. I had the privilege of test-driving a grill pan from the Lagostina Heritage Range, a collection of cookware dedicated to classic Italian favorites and it was instant amore! The 11” round stainless steel pan is large enough to accommodate dinner for six and the sides are slightly sloped so that any unwanted fat or drippings can easily be discarded. The handle is ergonomically designed and the weight of the pan is sturdy without being a wrist breaker; plus the corrugated bottom worked like a champ on my glass top stove. 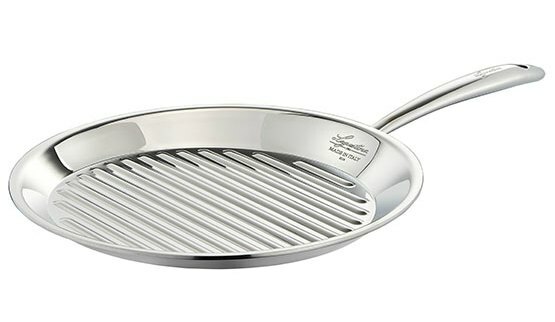 I wouldn’t usually use this adjective to describe cookware, but this pan isn’t just functional — it’s gorgeous! Grilled flatbread, Tuscan chicken and peppers, prosciutto di Parma paninis … my easy Italian recipe list just got a lot longer. 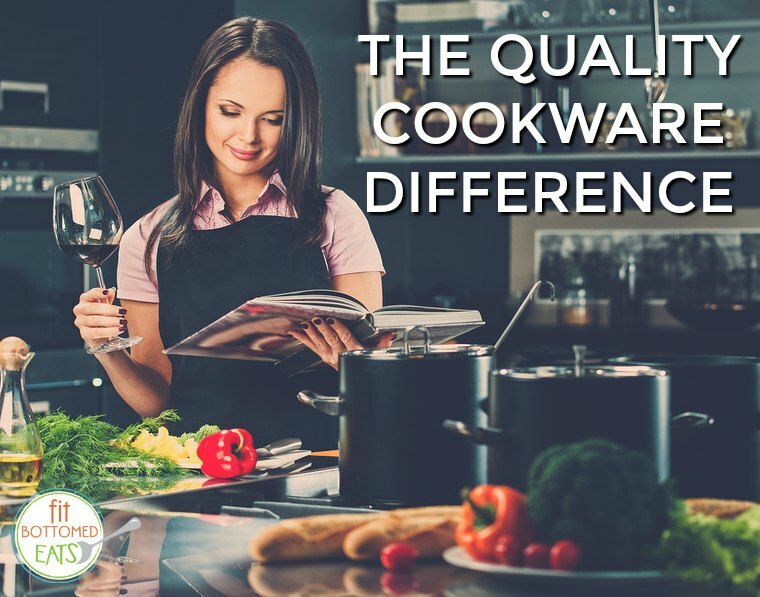 Make the investment in quality cookware and you won’t be sorry. Surround yourself with beautiful, but hard working equipment and quality ingredients and celebrate life the way the Italians do — with good food!